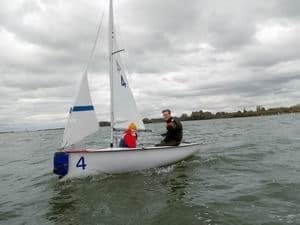 This page sets out our Cambridge sailing student data privacy policies. We record your name, email address, college, and expected year of departure if you have expressed an interest in the Club. You may have registered your interest online, at a Freshers Fair, or by taking part in one of our activities. In addition, we record your specific interests and your participation in trips/events. We delete your information when you leave Cambridge or ask to be removed from the Club’s database. The Club incorporates the following Privacy Notice on its Freshers Fair sign-up form and equivalent Google Forms facility. “Signing up gives us permission to add you to our lists and contact you about membership, events, and club news while you are at Cambridge”. are all examples of the data we maintain. Furthermore, we deposit a printed list of members each year in the club archives at the University Library (ref: SOC.103). The Club deletes your member or past member data when you cease to be a student, unless you have supplied a ‘non-Cambridge’ email address. If so, we transfer your information to our alumni database for confirmation of your continuing interest in club activities. We delete your participant data when you leave Cambridge, cease to be a student, or ask to be removed from the Club’s database. You are in control. If you have any queries, wish to restrict use of your data, or do not want the Club to contact you, please inform us. We use your personal details only for communicating with you; we never use them for ‘third party’ purposes. The Club will publish any changes it makes to this privacy notice and, where appropriate, notify you by email. If you have any concerns about the privacy of your personal information or want to see what data we hold for you, please contact the Senior Secretary. He acts as Data Controller for student and Senior Affiliate data. 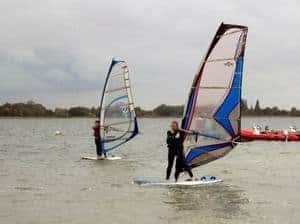 Dinghies and windsurfers enjoy their Taster Sessions at Grafham Water in the Michaelmas term.